The handle is skillfully crafted out of genuine ebony, leather and brass with an ultra-strong tang that will not twist or break in heavy use. The solid, bead blasted brass handguard and pommel complete the distinctive look. The Outback™ is truly both a great example of the knifemaker's art as well as the most rugged, dependable tool an outdoorsman could wish for. 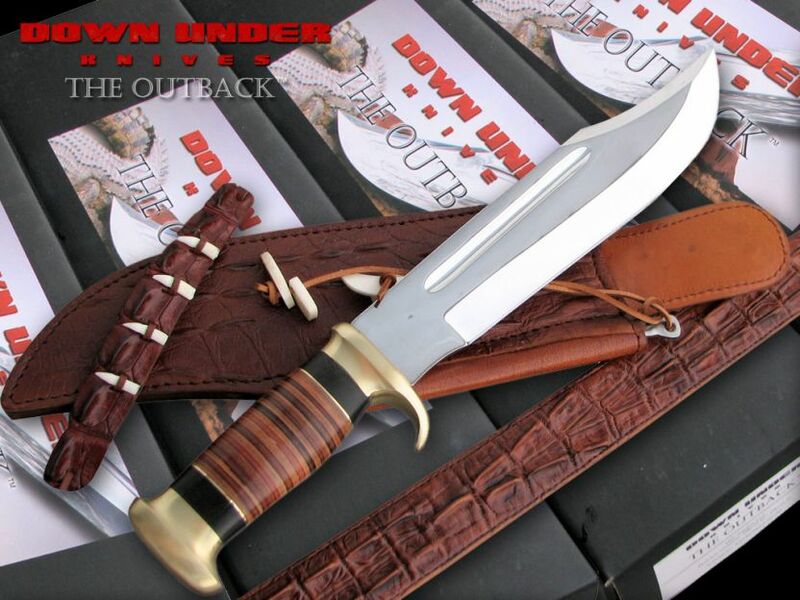 The Outback™ comes with a genuine heavy leather sheath patterned to resemble crocodile skin. The sheath features an integral retaining boot for the included high quality sharpening spike. Based on Crocodile Dundee movie knife.